* The Amazing Number 1,089. Follow the instructions to reverse three-digit numbers, subtract them, and continue until everyone winds up with . . . 1,089! * The Pigeonhole Principle. All students know that guesstimating works sometimes, but now they can use this strategy to solve problems. * The Beautiful Magic Square. Challenge students to create their own magic squares and then discover the properties of Dürer's Magic Square. 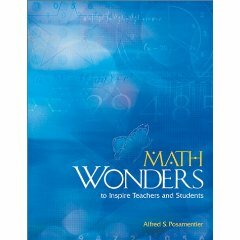 The author presents examples to entice students (and teachers) to study mathematics-to make mathematics a popular subject, not one to dread or avoid.